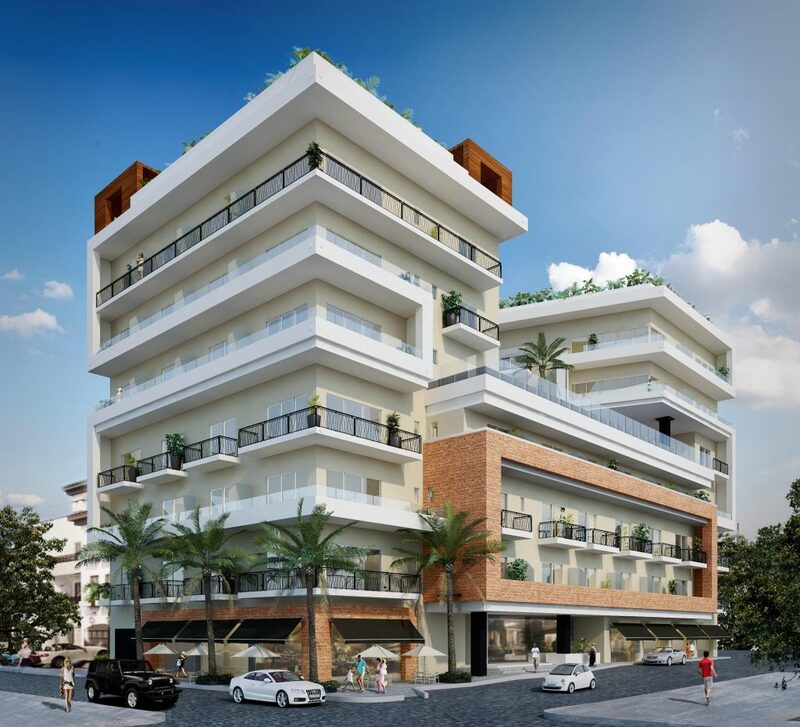 PAVILION is the newest project in the portfolio of CRAGSA quality developers, following close on the heels of the success of ZENITH Condominios, recently completed in April 2016, this exciting new project is just 2 blocks from Los Muertos Beach in the most sought-after ZIP code in PV. 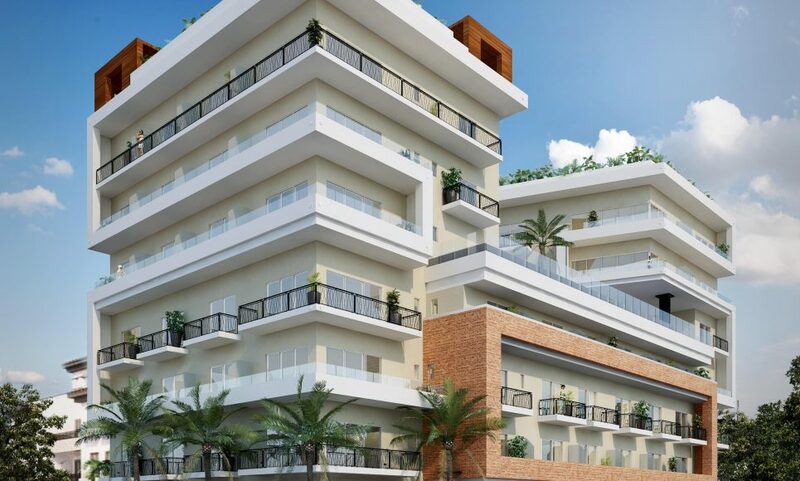 Right in the heart of the thriving Romantic Zone of PV, Pavilion offers its buyers exceptional design, quality, and style at affordable prices. Joining the skills of Successful Architect Paolo Rojo and his team at Arquitectos Asociados and CRAGSA the building has plenty of character and flair whilst being also being practical and functional. 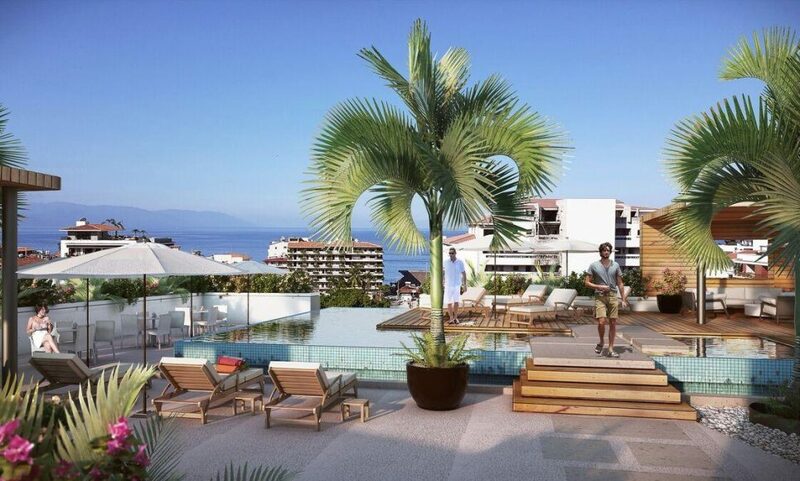 Pavilion is just a stroll away from everything one could want to do in Puerto Vallarta. 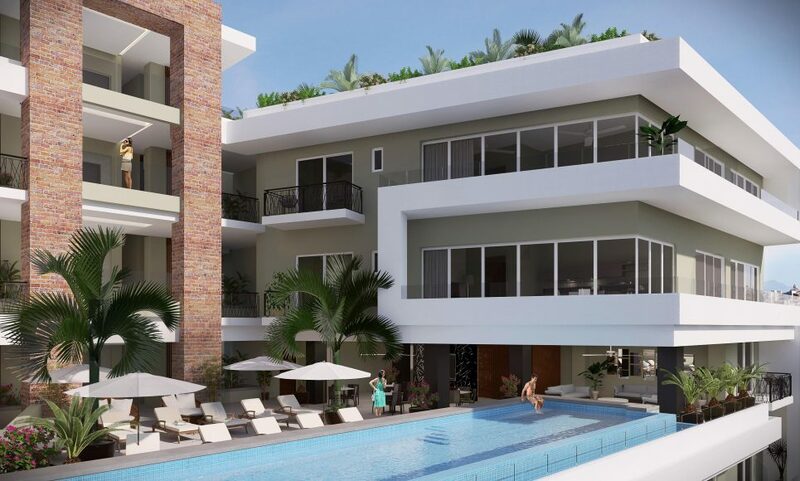 These new Puerto Vallarta condos are located just 2 blocks from popular Los Muertos Beach with beach clubs, restaurants, sports and activities just waiting to be explored. Sample a different dish every night on Basilio Badillo, known as Vallarta’s “Restaurant Row” or have a cocktail in one of many bars and lounge in the neighborhood. Take in a show at one of three theater venues just minutes away or spend lazy Saturday mornings exploring the tastes and crafts at the Old Town Farmer’s Market. Pavilion has it all on your doorstep. 62 units in total. 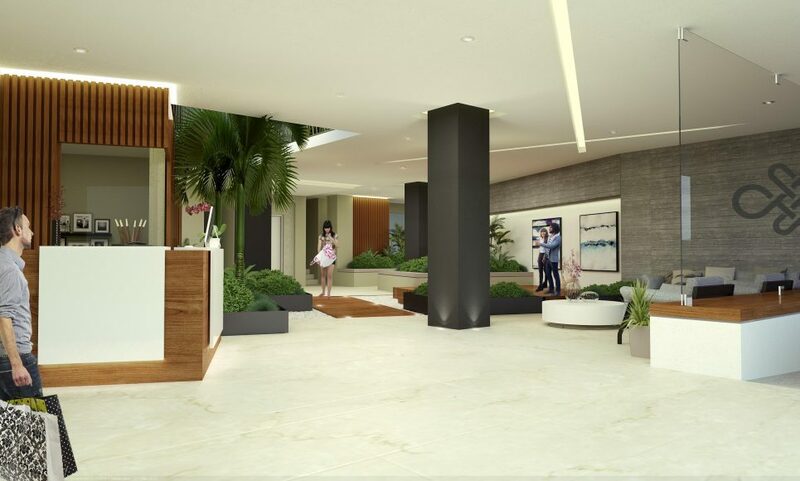 Ground floor commercial spaces and 6 levels of construction above with the common lap pool and lounge area being located on level 5 offers Vallarta a unique new design concept. 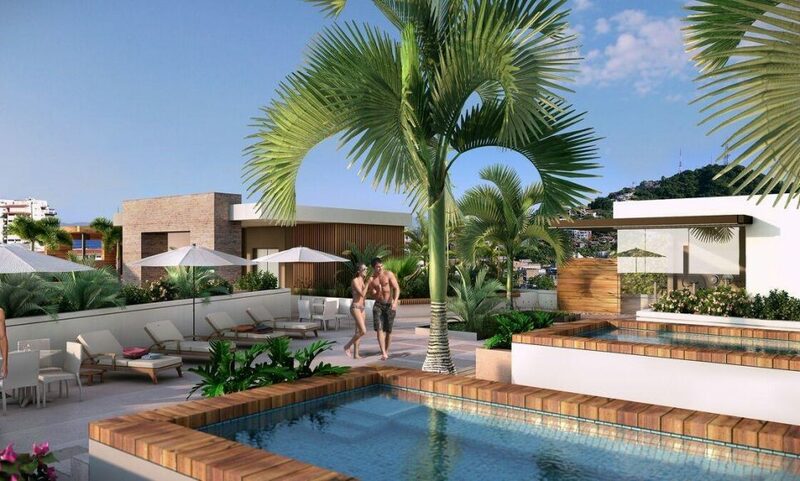 Additional charm and style with 2 common areas featuring a lap pool on level 5 with gorgeous south shore views and also on level 8 with our spectacular rooftop garden, relaxation pool, fountains, walkways, 2 heated Jacuzzis, fitness room and lounge seating. The complex will have underground parking and storage lockers available for purchase, 8 person capacity elevator, interior courtyard, lap swimming pool, BBQ area, 2 heated Jacuzzi, Fitness room, 24 hr security.